Graded FAIR 1.5 by SGC (submitted by REA). Rare example of St. Louis Browns outfielder Ham Patterson from the PC743 H. H. Bregstone Postcards series. 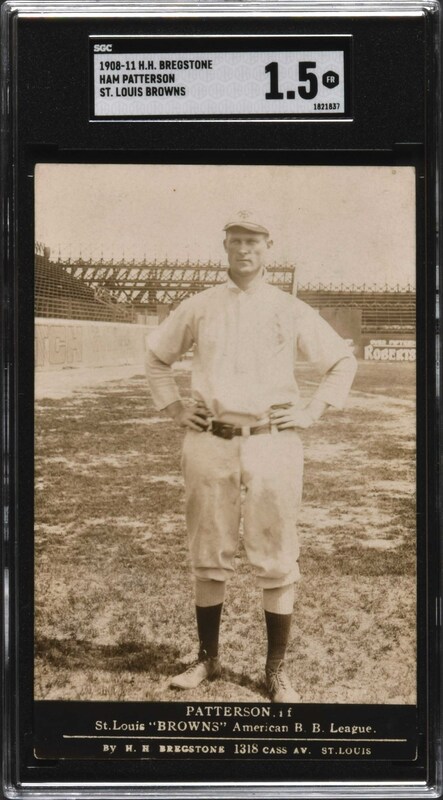 Noted as "among the rarest of early 20th century baseball player postcards" in the Standard Catalog of Baseball Cards, this is only the fifth Bregstone Postcard example that we have offered during the past fifteen years! This series features exclusively members of the St. Louis Browns and Cardinals with each player depicted in a sepia-toned photo posed on a ball field. The offered Bregstone Postcard is bright and crisp with excellent photo clarity and light wear to the corners. 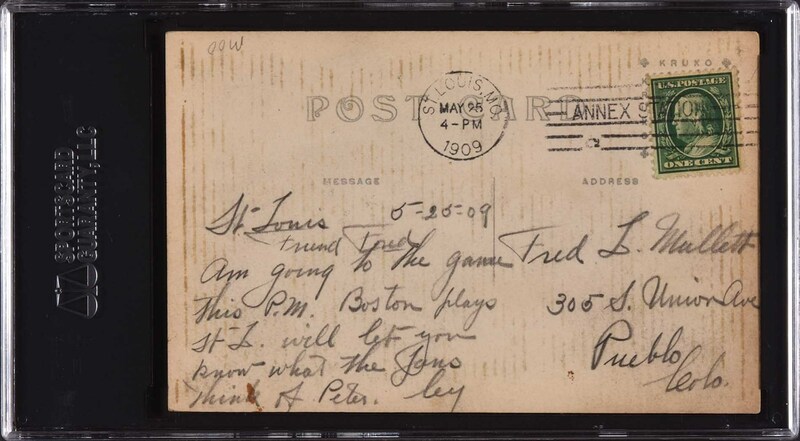 The postcard reverse is addressed and has been mailed, which accounts for the assigned grade despite an overall Excellent appearance. This is an exceptional sample from this extremely rare series, which would make a superb addition to any advanced postcard or type-card collection. Reserve $200. Estimate (open).